While the rind and the body of the cheese, its color, texture and consistency were all considered, the ultimate factor the judges voted on was taste. The panel recognized the creativity and craftsmanship of U.S. cheesemakers, awarding a variety of new and elegant flavor combinations. Over hundreds of years, U.S. cheesemakers have quietly formed their legacy of excellence from a melting pot of cultures to deliver craftsmanship, innovation, variety and versatility to fit any global cuisine. 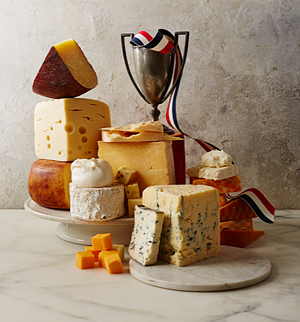 With continuing award recognition and broadened distribution, more and more markets around the world are discovering the quality and enjoyment of U.S. cheeses. Visit www.USAcheese.org for more information on specialty U.S. suppliers and the story behind their high-quality products.